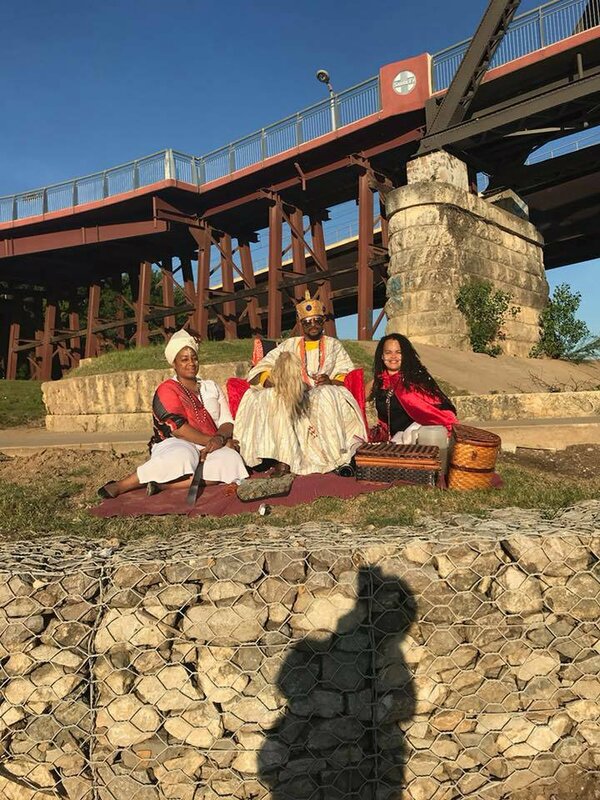 The Oba Adejuyigbe Adefunmi of Oyotunji African Village, Southern Carolina, United States of America, has shown what a king can do in his leisure time as he was seen chilling with his people in the U.S recently. The monarch who revealed in an interview with Punch last year that he has seven wives – shared pictures of himself relaxing and toasting to the good life. 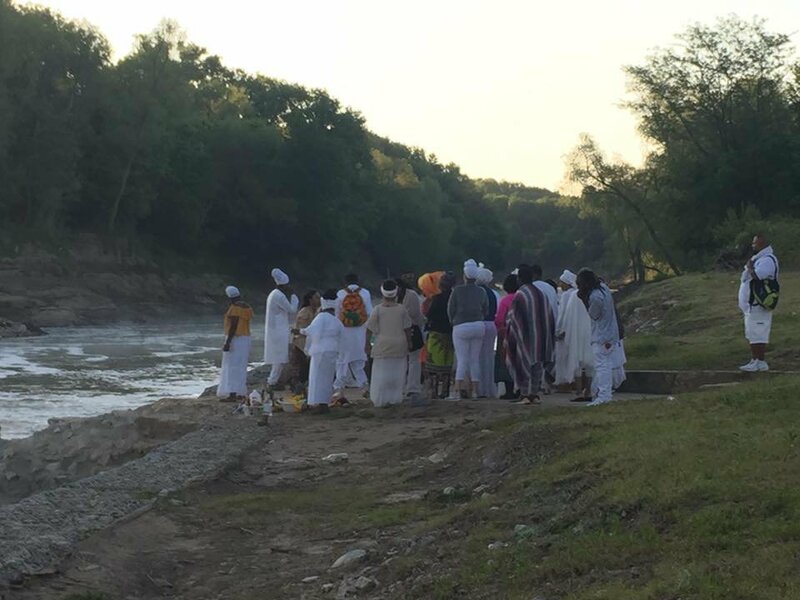 Last year, the Oba of the Yoruba community in the U.S revealed that he has seven wives. 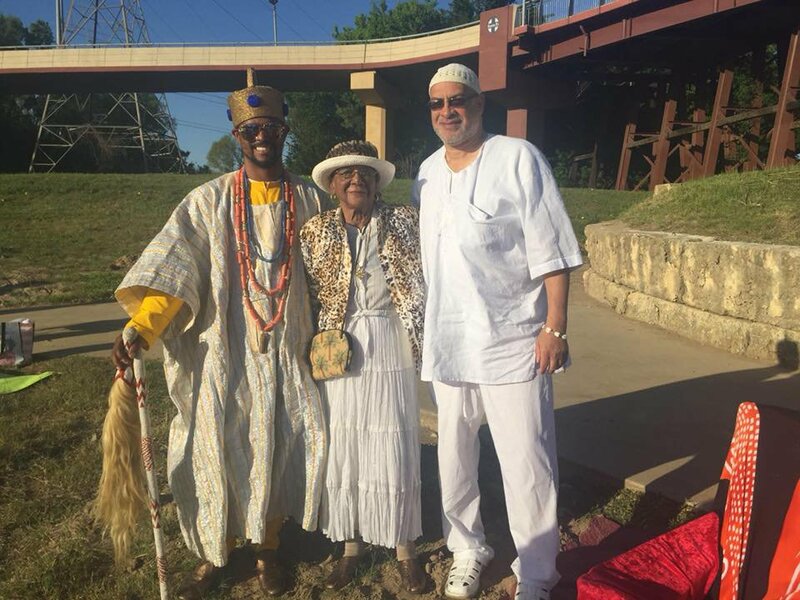 ”My wives are in Canada, Atlanta, Oyotunji, Virginia and different places. African people always did things upfront as opposed to doing it closed doors. European people would sneak out of the big house, go into the plantation and sleep with all the slave girls, then sneak back into the house like nothing ever happened”. ”That is not the case with African men. I like to quote the great Fela Kuti who said that African men don’t run around the street chasing women. Instead, he brings the women to his house and surrounds himself with them as he sits in one spot. At Oyotunji everybody does not practise polygamy, it is reserved for only the people that can afford it. It requires a lot of money and land. That scares people away from polygamy and I think I am the only Yoruba in North America that I know who practises polygamy”, he said during the interview. 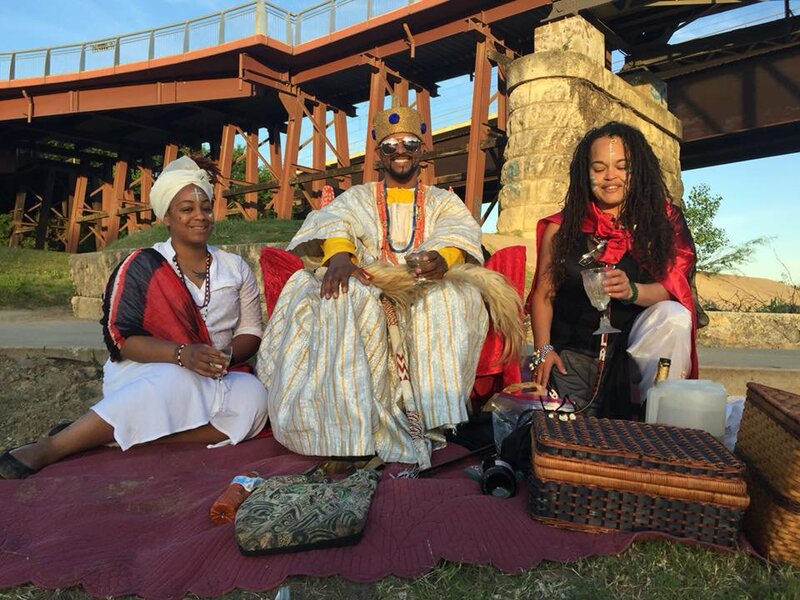 0 Response to "Nigerian King With Seven Wives Spotted Chilling In The US (Photos)"